Hello hello! 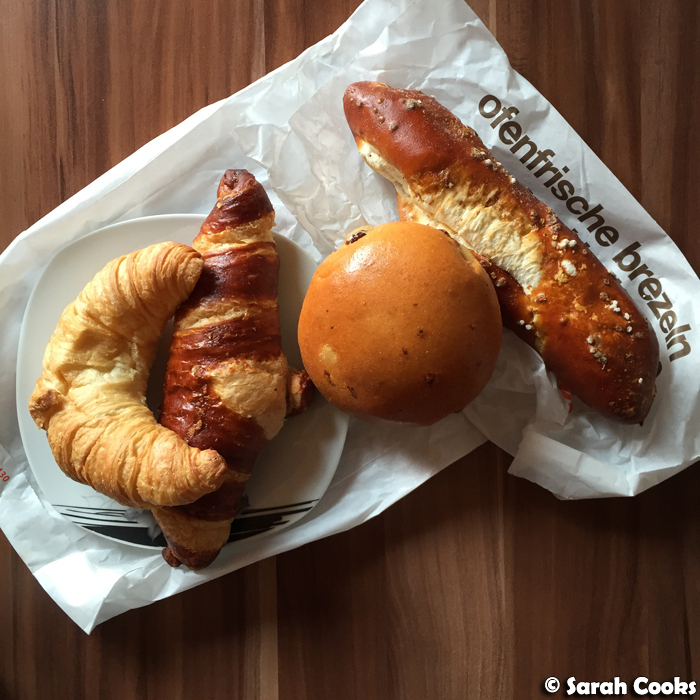 I'm finally blogging about our trip to Germany! Yay! 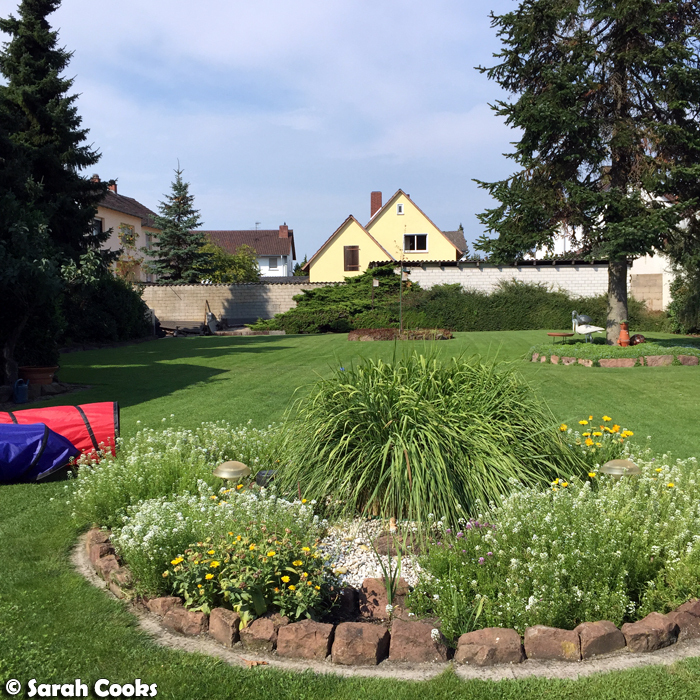 We basically spent the whole month of August in Sandra's hometown of Lampertheim - eating, shopping, spending time with family, generally relaxing and enjoying the German summer. I've already told you about our little side-trips to Amsterdam and Paris, so let's look at Germany now! This is gonna be a bit of a round-up post, and I'll blog about the food in more detail over the coming weeks and months. Let's roll! The weather was so good! Sunny days in temperatures in the mid twenties to low thirties. 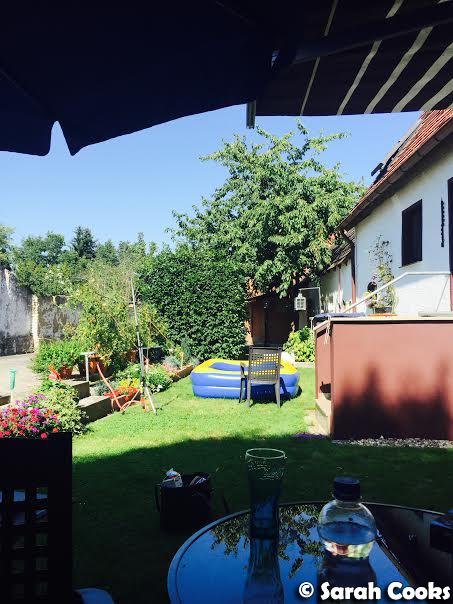 We spent many an afternoon in the backyard, drinking beers, running under the sprinklers and swimming in the family's little inflatable pool. Bliss! 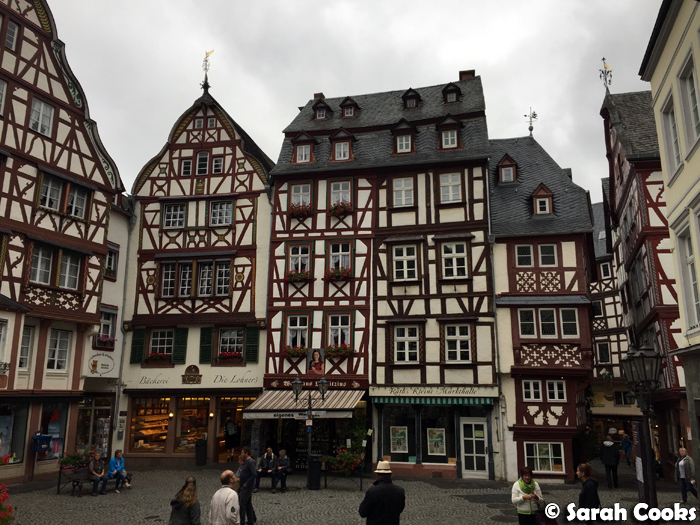 Although we spent most of the time in Lampertheim itself, Sandra's parents took us on a couple of day trips within Germany - to Trier, Bernkastel-Kues, Bad Dürkheim and more. 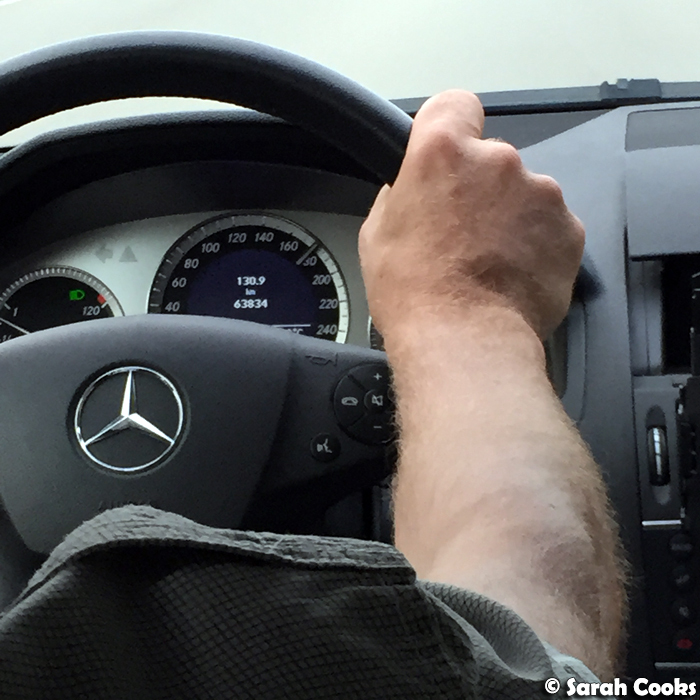 Here we are, just leisurely cruising down the Autobahn at 180 km/hr. Eep! Breakfasts were bread-based and plentiful. Each night, Sandra's dad Rudolf would take our breakfast order (hehe) and get up early in the morning to buy fresh bread from the bakery. So spoiled! We usually only go back to Germany once every couple of years, so Sandra always asks her mum to cook lots of her favourite German meals for lunch. I'll do a full post on them, but here's one of my favourites - Brockelbohnen. That's beans cooked with potatoes in a pot with two types of pork belly (smoked & regular) and Bohnenkraut (the leafy tops from the bean plant, which is used as a herb). 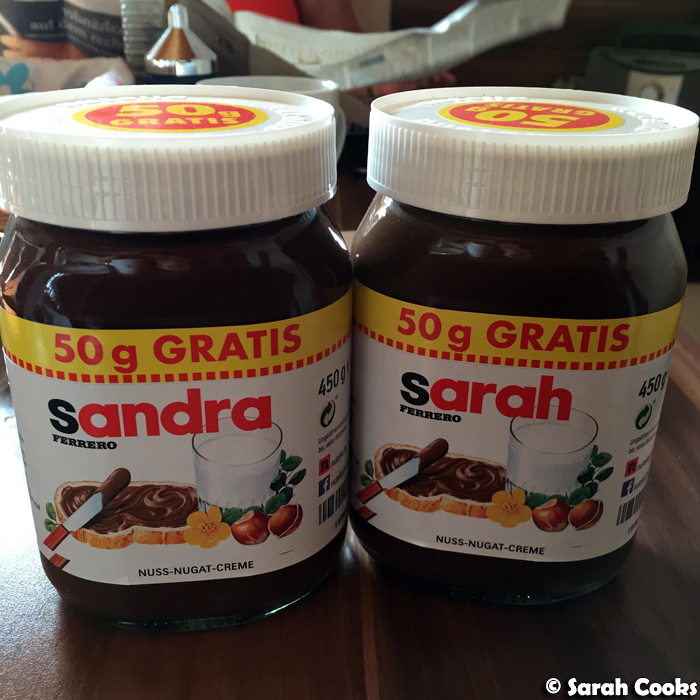 Lecker! 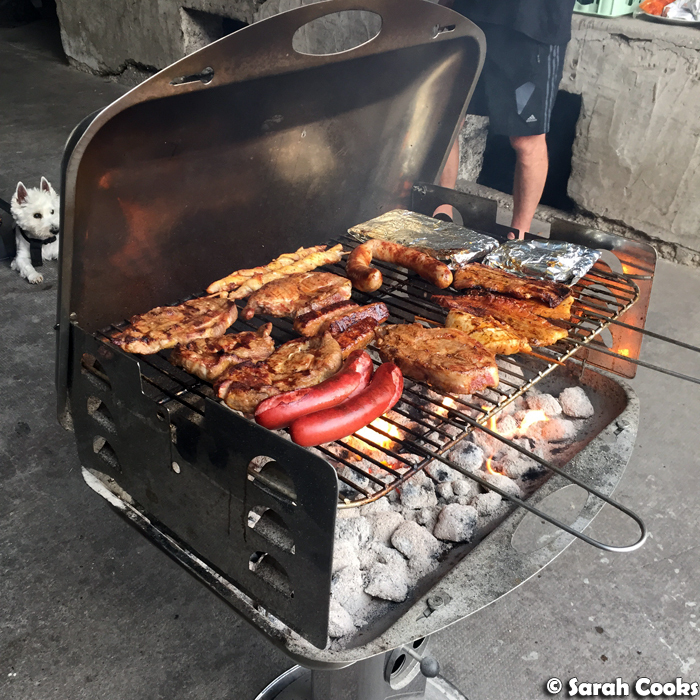 So, Sandra wants her homecooked favourites, and I want All Of The Meats. 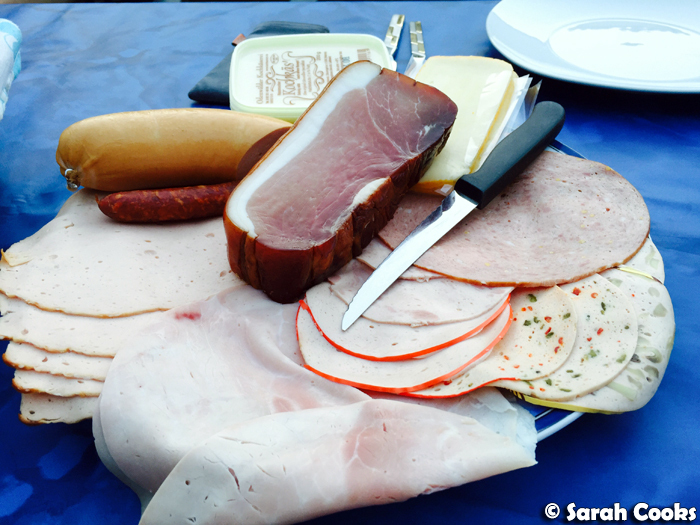 German cured meats are The Best! 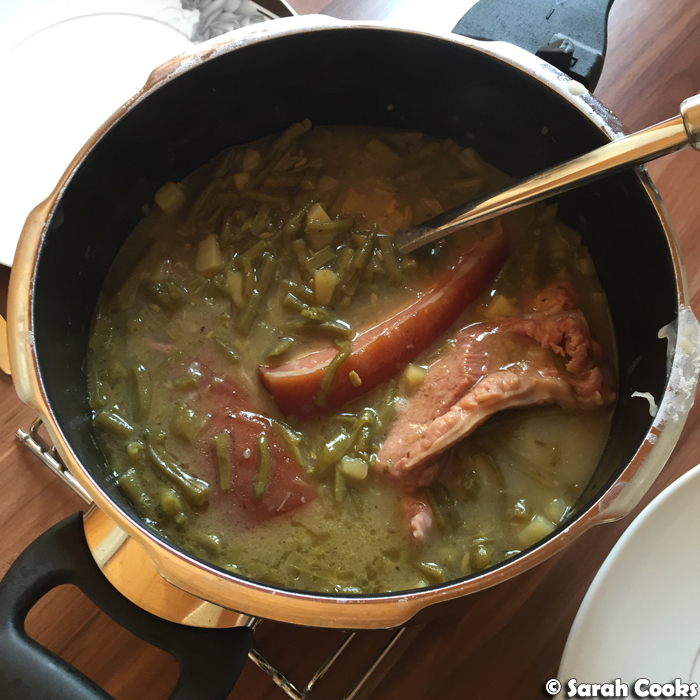 We had so many aufschnitt dinners! We did a couple of barbecues too. Yay for summer! We also ate a LOT of ice-cream. We made quite a few restaurant visits - so many schnitzels! Restaurant post to come, but for now I wanted to show you this amazing Forelle (trout) that I had at Zum Talblick restaurant. 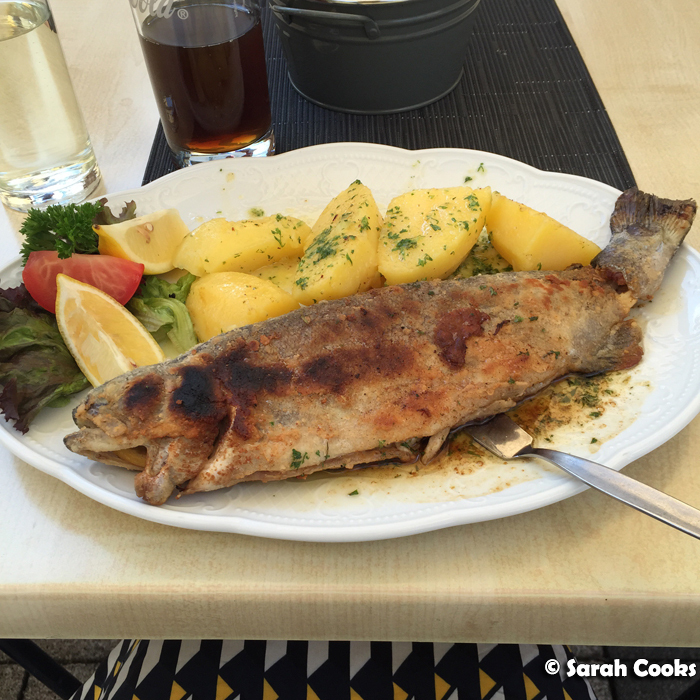 It was dipped in flour and fried, and served with boiled potatoes in a delicious herby butter sauce. 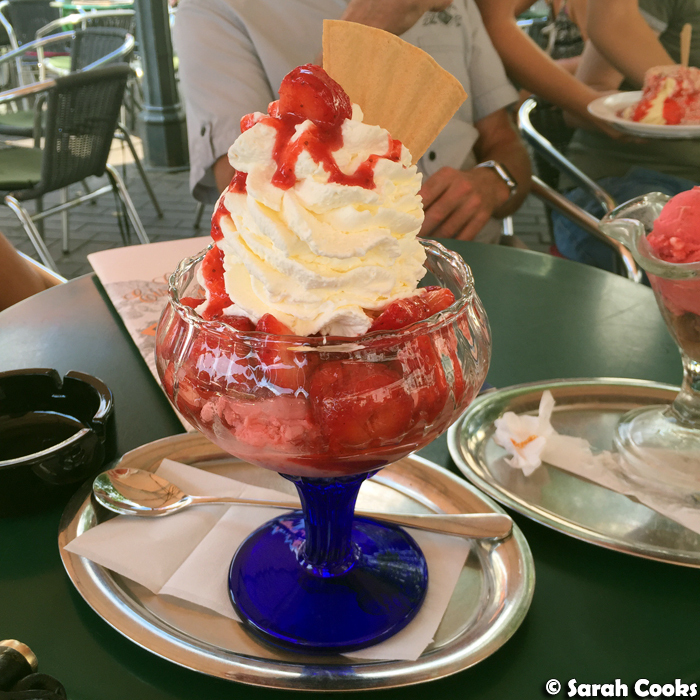 We visited some fancier places and some more casual places - and I enjoyed them all! 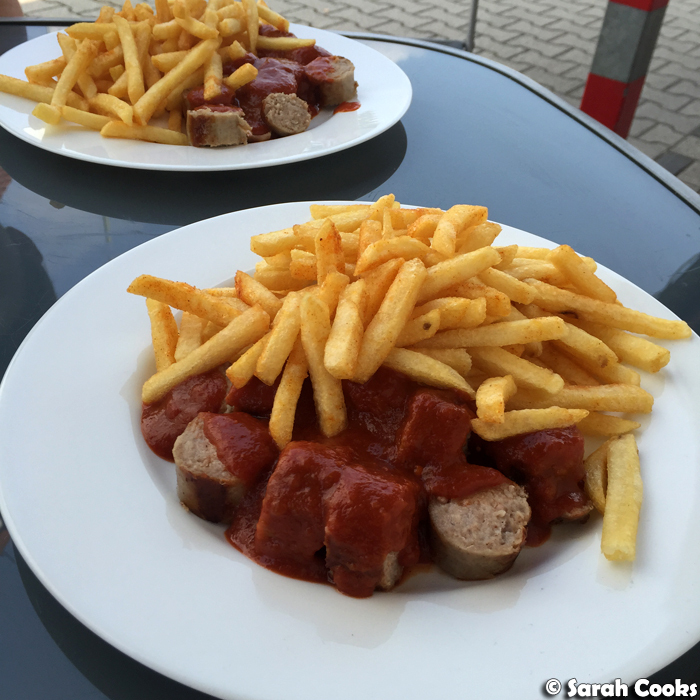 Here's a ridic currywurst and chips we ate at the local Imbiss (snack house). Also, beer. 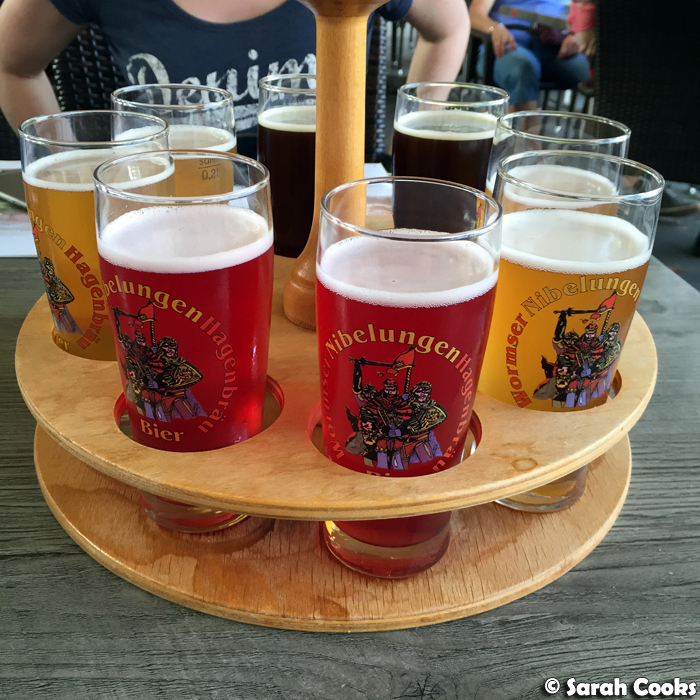 Here's a tasting paddle we enjoyed at Hagenbräu, a brewery and restaurant in the city of Worms. Those are 200 millilitre glasses, by the way. As usual, we did a lot of supermarket shopping, where I bought heaps of my beloved Milka biscuits. 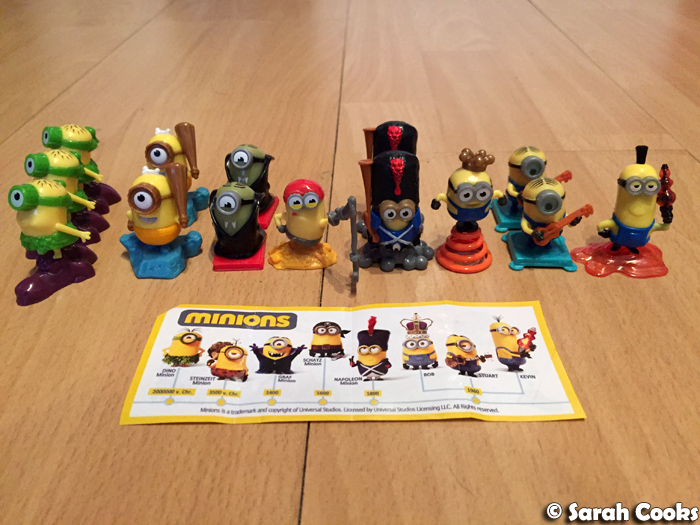 I also got a little obsessed with Kinder Surprises (Kinder Überraschung), and with a little persistence and dedication, ended up getting the whole collection of Minion toys. Yay! And that was a brief look at our trip to Germany! More posts to come, woohoo! Kinder surprises are illegal in the US. Choking hazard for the kids.